The blockbuster western "Butch Cassidy and the Sundance Kid" did NOT become an animated series by Hanna-Barbera, but those real-life outlaws' names are in the public domain, so the studio released a show called "Butch Cassidy and the Sundance Kids" anyway! 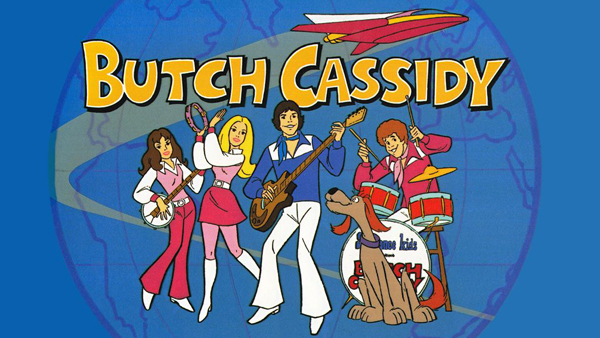 It's the umpteenth in a seemingly infinite number of kids shows about teen rock bands with wacky comic sidekicks traveling the world solving mysteries, but "Butch Cassidy and the Sundance Kids" is probably the only team that works for a supercomputer suffering from dog allergies. The real question is... was it CANCELED TOO SOON? Film critics William Bibbiani and Witney Seibold delve into this forgotten animated series in the latest episode!